The Unrepresented Nations and Peoples Organization (UNPO) has previously discussed the possible consequences of Bolsonaro’s victory for the Indigenous Communities in Brazil. 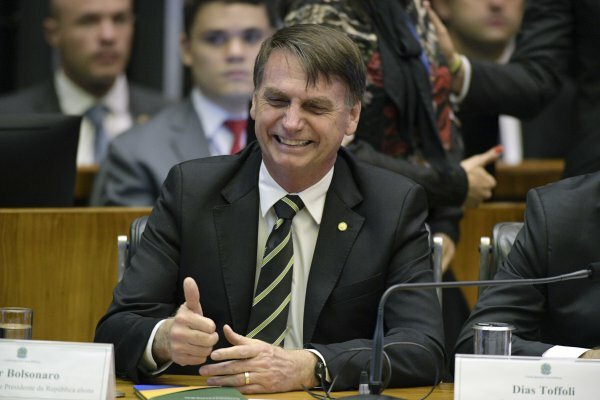 In the period between the first and second rounds of the presidential elections, faced with the prospect of his victory, UNPO organised an event on Bolsonaro at the European Parliament with the support of Members of the European Parliament (MEPs). During the event, the MEPs who have spoken and shared their concerns highlighted Bolsonaro’s extremist character, as well as his praising of violence and his lack of respect for women, minorities, the environment, for the rule of law and for the democratic nature of the state in Brazil. On the 1st of January, 2019, his first day in the office, Bolsonaro issued the Provisional Measure 870, a legislative instrument that allows the president to create norms through the power of laws, that are immediately effective. With a validity of at least 60 days and up to 120 days, Bolsonaro’s decree has modified the policy domains and structure of the ministries and bodies linked to the presidency, transfering the power over demarcation of indigenous lands from Funai (Fundação Nacional do Índio - National Indian Foundation) to the Ministry of Agriculture. In addition to stripping Funai of its intended policies, the new structure implies that future and ongoing processes of demarcation will be halted as the Ministry of Agriculture would hardly be interested in expropriating farm lands to the means of creating indigenous reserves,. Furthermore, through the same Provisional Measure Bolsonaro has included among the attributions of the Government Secretary the power to supervise and coordinate NGOs and other international organisations acting on national territory. With this power, on 14 January 2019, the Ministry of the Environment, Ricardo Salles, suspended contracts and partnerships with NGOs for the period of 90 days in order to analyse his ministry’s expenditure, further requesting information about all the public payments made to NGOs in 2018. According to several organisations, the initiative is not justified and, lacking legal backing and concrete reasons to be implemented, violates the Constitution. Finally, the initiative not only has the prospect of weakening the partnerships that support indigenous movements in Brazil, but it also threatens the actions of organizations that play an important role in defending indigenous rights to land, their culture and the environment. Deprived from key allies to their causes and having had the future of their rights to the land subjected to the interests of the large landowners, Indigenous Peoples in Brazil urgently need the support of the international community. UNPO denounces the institutional changes implemented by the new Brazilian president that are compromising constitutional guarantees indigenous peoples fought for centuries to achieve.